These photos were taken in Fort Lauderdale, FL on March 4, 2006. She used a Kodak digital camera CX7530 5.0MP. [and from another] Using always my digital cam REVIA KD-220Z in Italy on March 7, 2006. The corpus seems smaller than the previous image and on the left side of the Sun. [and from another] I wonder if these are moon swirls in the tail? When Planet X became visible in early 2001 as a dim blur viewed at observatories, or as what appeared to be a very dim star in infrared images in early 2002, or as a star not on the star charts during CCD imaging in the Fall of 2002, the shrouding dust cloud and tail of Planet X was either not an issue or was seen to be trailing behind the rapidly moving planet. When it put on the brakes as it arrived at the Sun, in the Summer of 2003, the tail logically wafted past the halting Planet X to blow past the Sun and deposit some red dust on the Earth. It also interfered with the electric grid in many countries in August-September of 2003, creating surges and brownouts, crashing the grids. Then the dust cloud settled into clinging to and blowing outward from the N Pole of Planet X, which was pointing toward the S Pole of the Sun as it rounded it and moved up toward the Sun's middle. 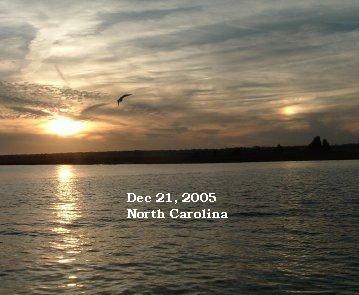 Thus, from Dec, 2003 to the recent past, the tail was blowing toward the Sun, and the debris and red dust and many dramatic bright moon swirl dances not as much in evidence. 2004 and into 2005 were a relatively quiet time, tail wise, as Planet X gradually rose to the Ecliptic, while rounding the Sun, and started outbound toward the Earth, trapped in her halted orbit in front of Planet X. We have stated that as Planet X does a slow 270° roll to position itself to be above the Sun's Ecliptic, where it will point its S Pole at the Sun's N Pole and quickly exit the solar system, it first must swing its N Pole away from the Sun. It does so in a retrograde manner, as it rotates retrograde and is in a retrograde orbit while passing the Sun. As the N Pole swings round to the right, as viewed from the northern hemisphere, the tail likewise begins to appear to the right of the Sun. The Earth, desperate to escape the hose of magnetic particles coming from the N Pole of Planet X, leans to the left as far as possible in the eddy flow of particles it is trapped in, caught in the path of Planet X, moving steadily and inexorably toward the Earth as it leaves the Sun. 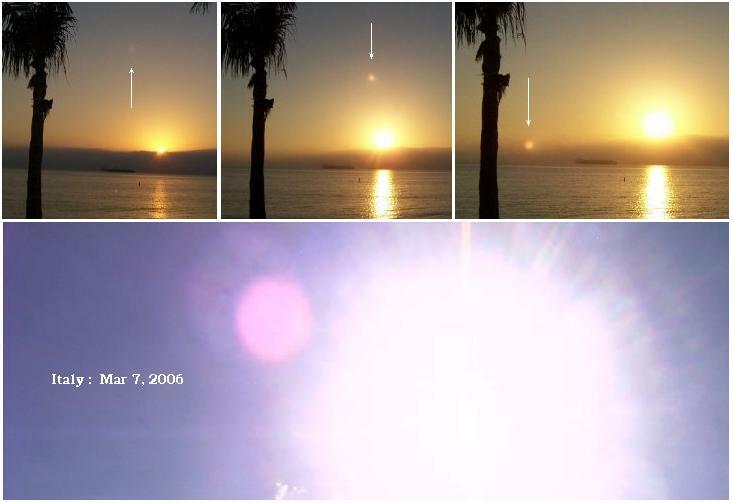 Thus sightings and photos of the corpus of Planet X, the Second Sun, have been captured of late, even casting a reflection on the water (photo at right). What happens to the immense, charged, tail of Planet X during this slow 270° roll process? When far away from the Earth, the tail appears as an adjunct to the corpus, wafting off to one side or surrounding and somewhat behind the corpus. But as Planet X comes closer to the Earth, and the tail is blown more toward Earth than away, the view of the tail from Earth changes. The tail, as we have mentioned many times, is charged, and this is the reason it clings to and follows Planet X, which is an immense planetary magnet. The tail blows away from the N Pole of Planet X, which is the outbound port of the magnetic particle flow that is the magnetic field of a planet. But being charged, due to the iron oxide dust that is the primary component of the tail, it wants to stay aligned with the magnetic field of Planet X. Thus, the tail wraps around toward the S Pole of Planet X, along the magnetic field lines surrounding Planet X. In the past, when Planet X was at a distance, it and the tail could be seen on this or that side of the Sun. But when Planet X is coming close, as it is now, and standing between the Earth and the Sun, as it is now, with the tail flowing along the magnetic field lines of Planet X, it can appear on both sides of the Sun. Does this mean that mankind will shortly have more of the tail effects, here on Earth? The Earth cannot escape this, and folklore speaks to this, but just what the timing of these assaults will be, we will not say, as the establishment is still not sharing what they know about this monster and its certain passage with the common man.